During those spontaneous family road trips, you want to make sure that your vehicle is prepared for anything you encounter, especially while you’re exploring uncharted territories. Luckily, the 2019 Honda Pilot dominates the suburb streets with aggressive performance, standard safety, and lots of room for your luggage and camping gear. 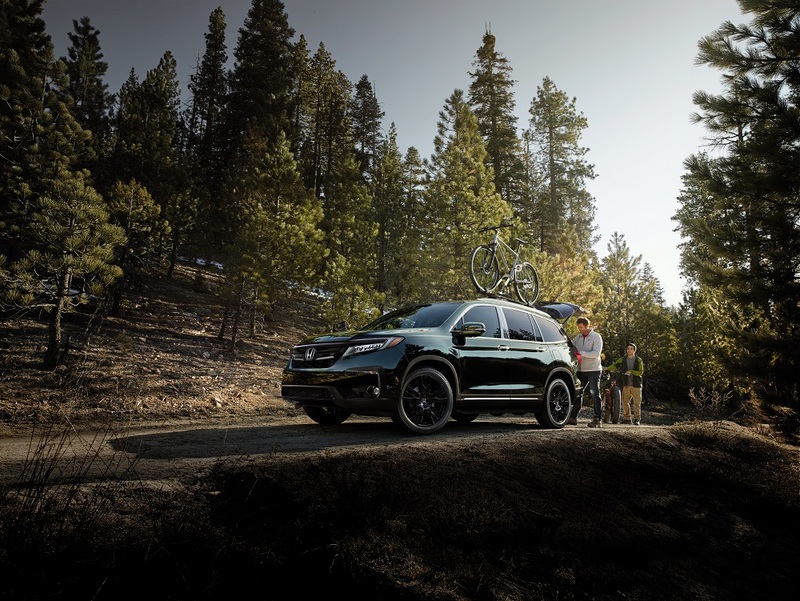 So, if you’re searching for an SUV that’ll help you make the most of your adventures near Marlton, Mount Laurel, and Cherry Hill, check out this 2019 Honda Pilot Review created by Burns Honda. Thanks to the advanced capabilities of this highway expert, you’ll be sailing down the route to your vacation destination with confidence. Your family’s safety is always a priority. That’s why the 2019 Honda Pilot serves up plenty of peace-of-mind with its standard Honda Sensing® system. If any of these technologies detect a potentially dangerous situation, you’ll be warned with audible and/or visual alerts. That way, you can take the necessary actions to sidestep an accident and keep your family out of harm’s way. The only way to celebrate a successfully productive day is with a rip-roaring drive down the open highway. Fortunately, the 2019 Honda Pilot makes that easy with its standard 3.5-liter V6 engine that helps you surge forward with 280 horsepower and 262 lb-ft of torque. Plus, an optional 9-speed automatic transmission reins in all that muscle so that you’ll be provided with the perfect dose of power for your driving environment. Of course, you can’t forget about arming your vehicle with the ability to haul lots of heavy cargo. And, when properly equipped, the Honda Pilot can muster up to 5,000 pounds of equipment. So, if you’ve been dying to bring your boat or trailer along with you on your next jaunt, this SUV will deliver on your need for brawn. You know those moments when your little one invites a friend along for your family getaway? Make sure you have enough room for everyone by opting for the 2019 Honda Pilot. With seating for eight passengers, you’ll never have to deny your kids the chance to bring their buddies along for the journey. On top of that, you’ll get high-tech tools like CabinControl™, which allows you to adjust different features inside your vehicle, like climate control, the audio system, and more, all from your smartphone. And, instead of shouting to your children in the rear seats, use the convenient CabinTalk™ system. This handy device uses a HandsFreeLink® microphone to transmit your voice to the rear speakers or wireless headphones. That way, you can ask your family what they’d like to eat for dinner while they’re enjoying their favorite movie on the optional Rear Entertainment System. Test Drive Your 2019 Honda Pilot Today! When the roads of Marlton, Mount Laurel, and Cherry Hill call your name, respond by hopping inside an athletic SUV that’s capable of handling anything. And, by claiming your spot on the highway with the 2019 Honda Pilot by your side, nothing will stand between you and a memorable trip with your family. To discover more about the impressive features tucked within this dynamic SUV, simply visit the showroom at Burns Honda or contact us today!